Spot-on with Location Running | Location Running. Radio and location-technologies need to be easily accessible, even though the underlying technology is complex. Known-good and easy-to-use radio modules minimize the need for RF expertise for the user. Nanotron has invented the concept of “Tag-Ready” modules. 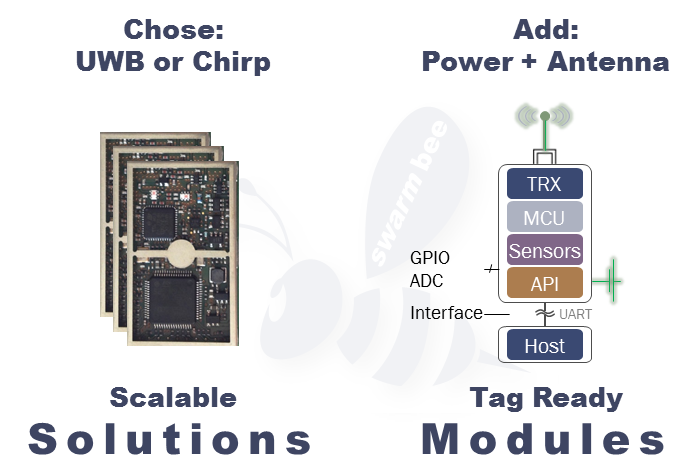 The swarm bee product just requires an antenna and a battery to be up and running. External interfaces – digital GPIOs and linear ADC/DAC ports – add connectivity without the need to have a host controller for basic applications.